Here is a photo of my own black pointe shoes by Grishko 🙂 They are Grishko 2007 model. 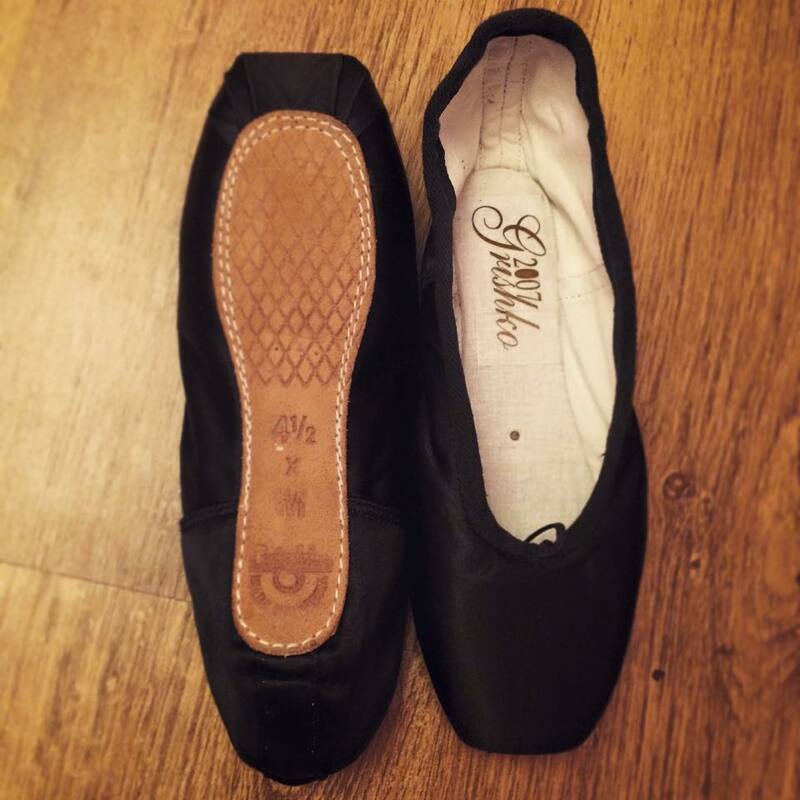 You can order black pointe shoes by Grishko from me directly! I can post worldwide! I can also get many other colours! All dyed without no mess of you having to do it at home! You can also do it yourself using a sharpie pen to colour pointe shoes in with or dylon dye. But for less hassle simply order coloured pointe shoes directly from me. Remember, I am also a mobile pointe shoe fitter and can come fit you in person. Helping you find the perfect pointe shoes! Just drop me a mail by clicking the “contact” button in the navigation bar to speak to me about coloured pointe shoes and ordering some of your own.